Marty is a leadership and executive coach with experience as an attorney and a successful business owner. He brings a wealth of practical experience to the coaching world, having successfully started, managed and grown a small business to the point of profitability and ultimately sale. 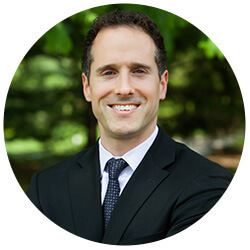 In addition to running a business, Marty also spent numerous years practicing law as a commercial real estate and corporate business attorney. Marty has worked across numerous levels of leadership, industry and stages of business development. Whether working with the CEO of a start-up company, management at a Global 500 Company, or attorneys at a law firm, serving the telos institute as a senior consultant, Marty successfully impacts individuals and organizations through the delivery of personalized coaching and training. Marty is a dynamic leader with a remarkable capacity to foster environments where others feel safe around accountability and free thinking. He delivers results by combining authentic communication with a significant understanding of human emotions and behaviors. Marty brings energy and an entrepreneurial spirit to everything he does and he works with professionals who are willing to conceive and then achieve extraordinary results. He earned his B.A. in Psychology from the University of Michigan and his Juris Doctor from the University of Wisconsin Law School. Marty is a certified Great Workplace facilitator by the Great Place to Work® Institute, the producer of the FORTUNE 100 Best Companies to Work for® Annual List. He is also a member of the International Coach Federation and is certified in The Leadership Challenge®, DISC and Hogan. Marty lives in Southeastern Michigan with his wife and two incredible children. He is a self-help junkie who loves the outdoors and training with his friends for triathlons in the summer.